MLS (Multiple Listing Service) publishing hasn’t always happened on the Internet. The MLS was in fact an actual book that was often paperback and printed in black-and-white. Agents anxiously anticipated the delivery of MLS books to brokerages so that they could share new listing inventory with their clients. Buyers were completely reliant on the agent to gain access to listings that matched their criteria. 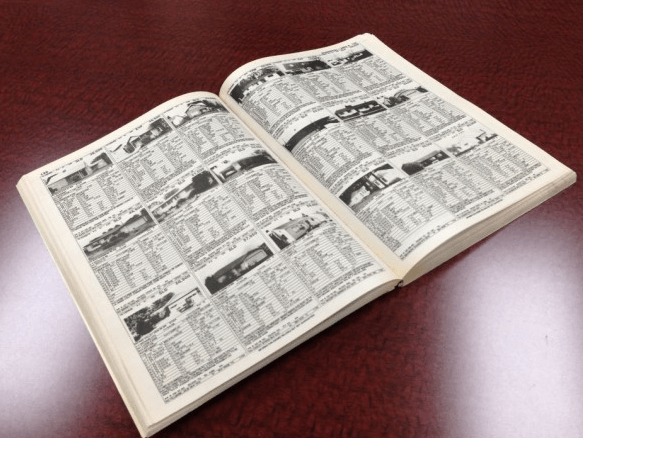 The books were nearly impossible to search and required agents to know listing prices to find the right houses. Residentexpert.com explains the history in great detail. Over time, MLS books were eliminated as computer systems replaced print in the late 1990s and MLS listings data was increasingly distributed electronically. Beginning in 2000 and ending in 2002, the NAR created the IDX (Internet Data Exchange) program to enable brokers to display listings of other brokers on a website powered by search. This opened the door for listings portals like Zillow, Realtor.com and Trulia (ZRT) to build businesses by distributing listing information at scale. They were able to generate website audiences in the in the tens of millions from listings pages optimized for Google search and they monetized this traffic through paid advertising placements. Listings are now ubiquitous, easily accessed by buyers and have relegated agents to commodities on many popular real estate portals (yes we mean ZRT). Many agents don’t realize that participating in online experiences created by listings aggregators are not the same thing as marketing. Judith Lindenau, noted consultant to MLS associations rightly points out that “a significant number of MLS users (and the public) don’t understand the difference between an MLS and an advertising cooperative.” This confusion is leading to lost marketing and branding opportunities for agents. At AdWerx, we don’t believe its sufficient to have listings in the MLS or 3rd party portals alone. You have to be everywhere potential buyers might spend time online. Furthermore, it’s critical to differentiate yourself from other agents with an online presence you control and operate. There are two key elements to go beyond the noise – Going beyond sites that aggregate listings and building relevant content that existing and potential clients find useful. In Matthew Beall’s recent piece in Realtor magazine, he points out that everyone is putting out the same stuff since most real estate agents have a website with IDX powered listings. The key differentiators for a real estate agent are how they find demand for clients and listings and how they brand themselves. This new found demand should be combined with content where agents can share their unique take on their local communities and perspective about the current market. Matthew’s brokerage website, HawaiiLife.com does a good job of providing content that does this. The key to maintaining and growing your real estate business is to use online marketing technology to stay a step ahead of the competition while providing compelling, local content. Let us know what strategies and technologies you use to market your listings beyond listing portals.